Whether it’s Ralph McQuarrie’s original vision or more recent efforts, Star Wars is famous for its sweet vehicle designs. Yet over the past month, talented LEGO builders have been messing with the iconic Snowspeeders and X-Wings, redesigning them to either look more contemporary, or just look cooler. 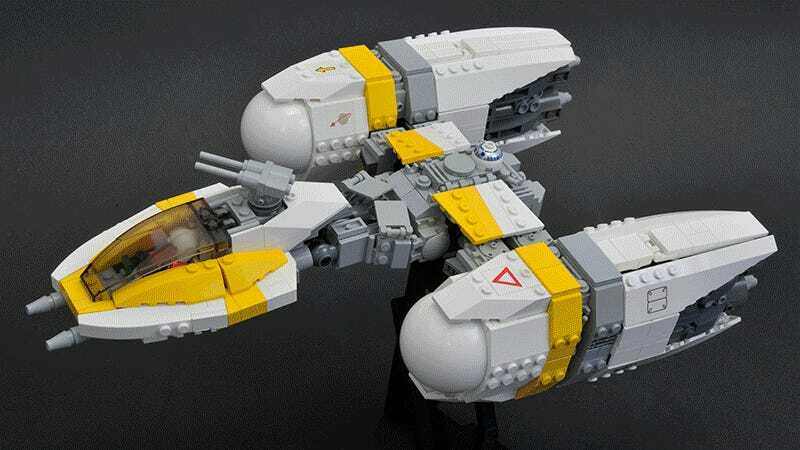 They’re entries in a competition over on From Bricks To Bothans called Star Wars Evolved (via The Brothers Brick), where builders have been asked to take existing Star Wars vehicle designs and mess with them. There weren’t many rules outside the fact every build had to be from scratch (not a modification of an existing LEGO set), so loads of the designs have been pretty interesting, some opting for humour, others for style. Below are some of my favourites from the submissions. If you want to see all the entries, they’re on display on FBTB’s forums!